In 1975, Saigon, the capital of South Vietnam, fell as the U.S. withdrew, and communism was established in the country. In Caroline Vu’s new novel, Palawan Story, narrator Nguyen Thi Kim watches the events unfold on her neighbour’s TV in the city of Hue, almost a thousand kilometres away. Kim’s mother decides that the best chance for her daughter is a life in America. It is this belief that puts Kim on a boat out of Vietnam. Instead of America, Kim finds herself in Palawan, a squalid refugee camp in the Philippines, waiting indefinitely for her asylum to be processed. Finally, a case of mistaken identity sends her to Connecticut where she adopts the life of an American family’s sponsored child. 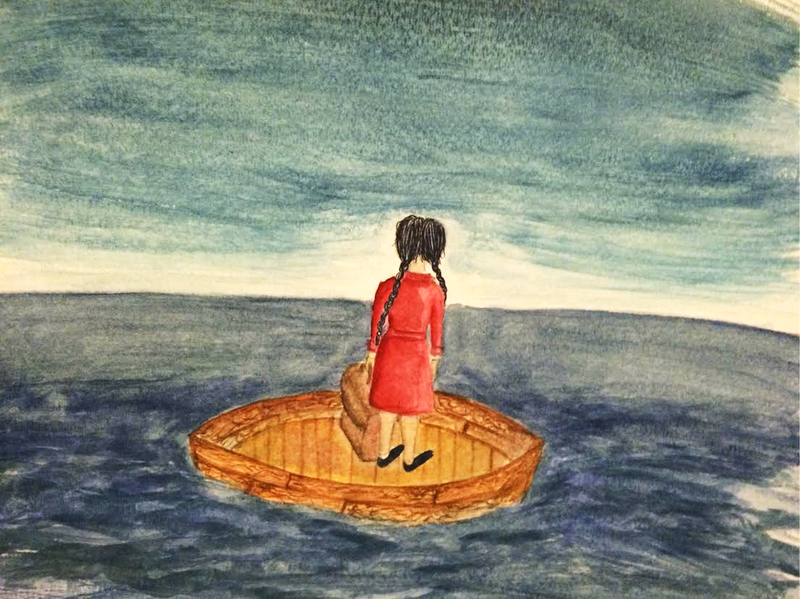 It is not until Kim arrives at McGill University, and encounters other Vietnamese students, that she begins to come to terms with the reality of her own story. Palawan Story is also a process of individual and collective remembering – it unfolds as a series of fragmented recollections and extended monologues in which characters share their stories. Kim is put on a boat with the promise of a better life in America, but when she encounters a survivor of the My Lai massacre, the survivor’s horrific story quickly complicates her constructed image of America. Through the vivid retelling, the survivor’s account of the mass killing of between 300 to 500 unarmed Vietnamese villagers thus becomes part of Kim’s story, although she herself never directly suffers from American war crimes. With any narrative composed of fragments, there is often a danger of superficial characterization – the reader fears that the author will never break past the characters’ surface. Palawan Story, however, still manages to achieve depth of character by revisiting each fragmented narrative. Kim’s mother, for example, is first introduced unsympathetically through childhood recollections of constant scoldings, but as Kim grows up and learns more stories about her mother, she, along with the reader, discovers a more complicated being. Vu’s strength as a novelist lies in this artful development of characters through the stories they tell and receive. The immigration story is a trope in North American fiction. While Palawan Story belongs in this category, it also ultimately subverts it, particularly disrupting the idealization of America as landing point. While Kim does arrive in America and obtains the promised opportunities of a secure middle class life and higher education, Connecticut never really feels like home for Kim before she leaves for Canada. Moreover, she feels strongly that above all else, her relationship with her family and the country she left behind have to be resolved. It is her struggle to recollect these past relationships that takes centre stage and moves the reader. In a world overflowing with patriotic American narratives about the Vietnam War told from the perspectives of American soldiers who fought in it, Palawan Story provides a fresh and insightful look at the lives of those affected by the war. The novel uses storytelling and the murkiness of memory to demonstrate how no one narrative can ever paint the full picture.